So, still prevaricating on finishing Igor and got distracted again. This time by the Guardians of the Galaxy kits. Picked this one up off eBay for a decent price because the box had been damaged (like I care, it’s already been thrown out). It is the 1:9 scale version from Dragon. 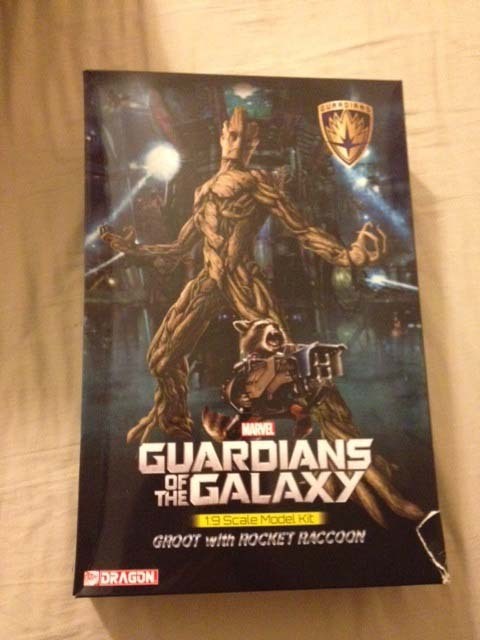 There is a larger scale version of Rocket but this one has the full sized Groot and is in scale with the other Dragon kits.